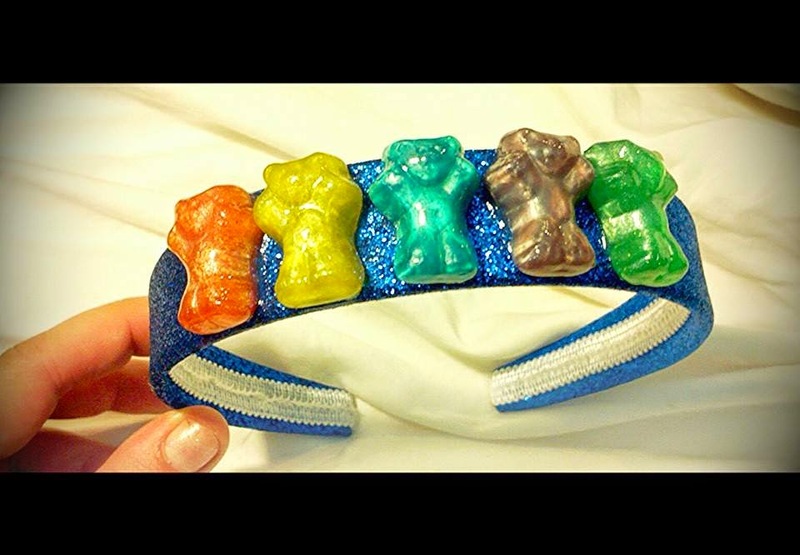 Just finished this blue glitter headband with metallic gummy bears! I love making candy jewelry and have many different colors or gummy bears ready to process. Apart from my guitar pick jewelry my candy jewelry is a popular seller. 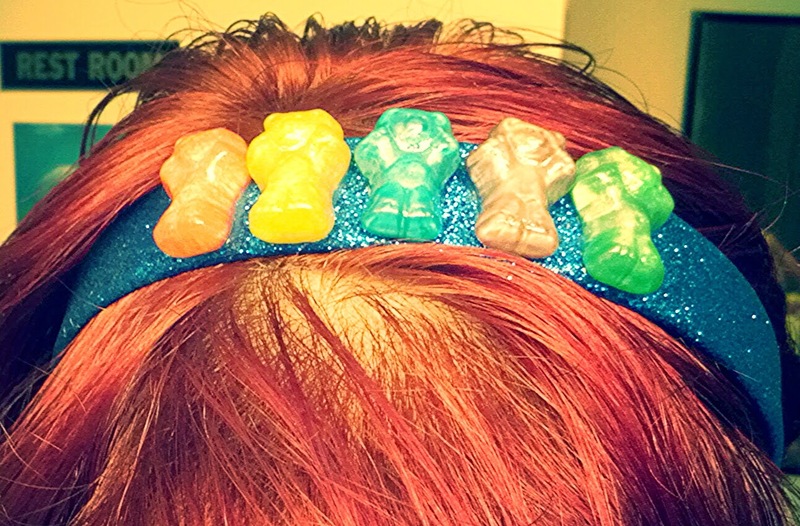 Each charm is made from a REAL gummy bear, hardened in epoxy resin and Mod Podge for a plastic coat. Check out my Gummy Bear Rings!